James Rhodes, Iron Man’s best friend and right hand man, has had one of the more interesting histories in Marvel Comics. Rhodey went from supporting player in Iron Man to actually wearing the armor himself during major Marvel moments like Secret Wars and the formation of the West Coast Avengers. Later, in the 1990’s Rhodey achieved his greatest claim to fame, donning the War Machine armor, and joining the ranks of Punisher, Ghost Rider, and Teenage Tony Stark as iconic 1990’s heroes. Since that time, James Rhodes has most commonly been tied to his War Machine persona, although his affiliations have ranged from everything to Avengers units to X-Men Sentinel peacekeepers (Decimation was a strange time). 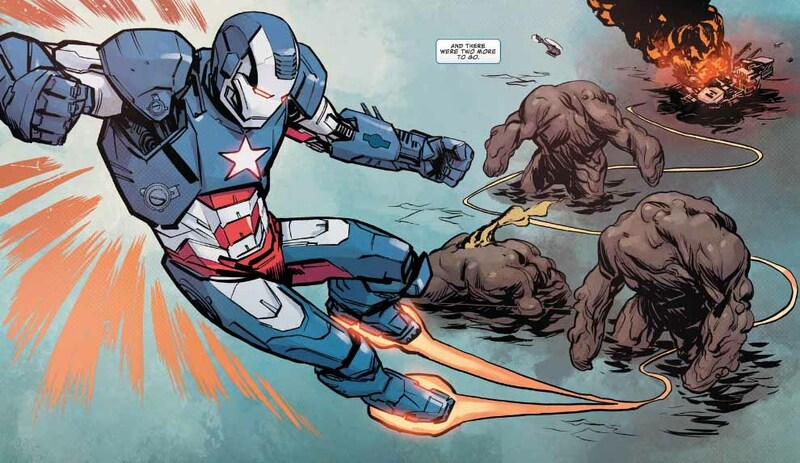 Likewise, during Marvel NOW!, War Machine reclaimed the Iron Patriot mantle that Norman Osborn had corrupted during Marvel’s Dark Reign. Below you’ll find a complete guide to War Machine comics, from James Rhodes introduction in Iron Man through his role in Marvel’s second Civil War (and beyond!). James Rhodes gets his start in Iron Man issue #118, and then remains as a recurring character through the remainder of the demon in a bottle saga. Starting with Iron Man #170, Rhodey begins filling in for a relapsed Tony Stark as Iron Man! If you’re reading on Marvel Unlimited, I recommend halting at #192 here, as there is some overlap between this collection and the “Iron Monger” story below. One of the more fascinating continuity developments of the mid-80s is Rhodey getting pulled into Marvel’s Secret Wars as the hero’s Iron Man. Have to love that Marvel editorial kept Jim in the armor for the mega event rather than replacing him with the more familiar founding Avenger, Tony Stark. The 1990’s Welcome War Machine! The War Machine armor makes its official debut! 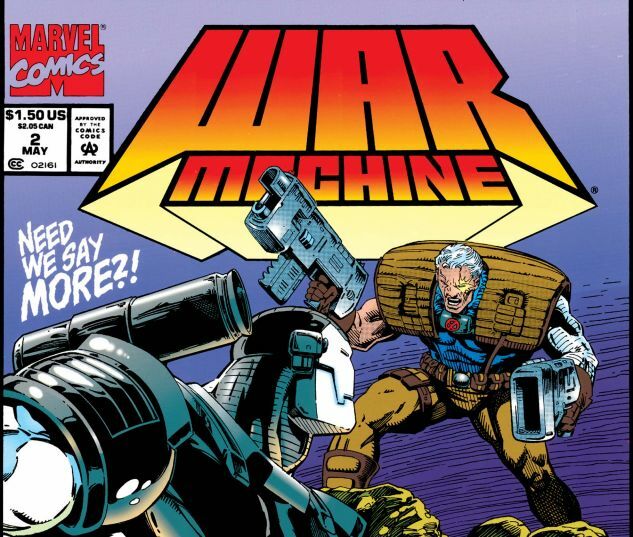 Oddly enough, one of War Machine’s earliest appearances comes in the pages of the VERY 90’s X-Factor. War Machine returns to the West Coast Avengers in his new armor, including Infinity Crusade tie-ins in Avengers West Coast #96 to #97. Rhodey is in and out of the relaunched Iron Man by Busiek and Chen as both a supporting character and in the War Machine armor. During the X-Men’s Decimation time period after House of M.
The complete Secret Invasion reading order. For the full Dark Reign reading order. 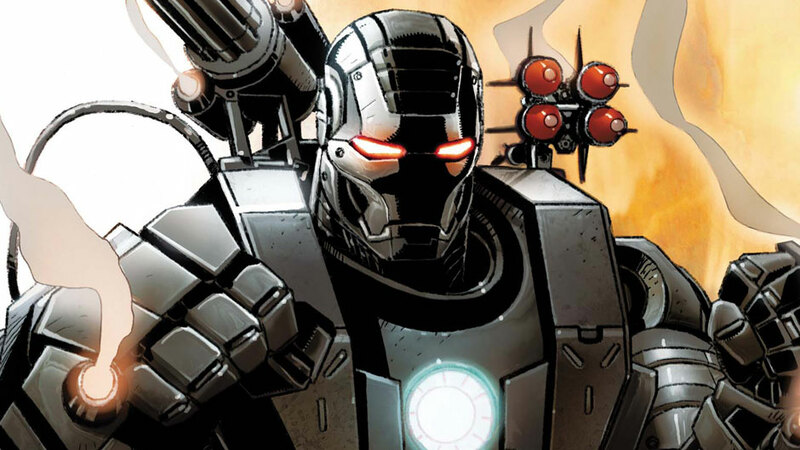 War Machine joins Steve Rogers, Black Widow, Valkyrie, Ant-Man, Moon Knight and more in undercover Avengers missions. The full run by Matt Fraction and Salvador Larocca is worth a read, with various Rhodey appearances throughout. This sequence of issues is particularly relevant, as James Rhodes dons the Iron Man armor once more. Rhodey and Carol Danvers begin a relationship. For the full event, see Comic Book Herald’s Civil War II reading order.